Buffer tanks are often employed within HVAC systems to provide additional system fluid volume in order to prevent short cycling of heating or cooling apparatus. Taco offers these tanks in sizes from 50 gallons up thru 3000 across 22 tank volumes. Each of these tank models are available with system connections on the side of each tank located either high or low to meet application requirements. 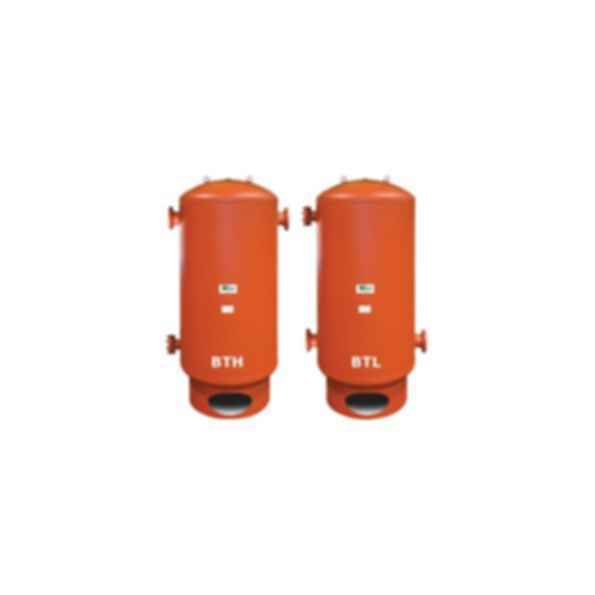 To meet the wide scope of job site specific connection sizes specified these tanks are available with a standard range of connection sizes as shown on our submittal data sheets. Generations of HVAC professionals have known and trusted Taco to design and build the most reliable products in the industry. Homeowners may never have heard of us, even though our pumps, controls and system components may be hard at work in their basements! Taco delivers exceptional quality because it has been owned and operated by the same family for over 80 years; a family whose dedication to its customers, products and employees has never wavered. Taco is led by John Hazen White, Jr., whose grandfather founded the company. To this day, John goes to work in the building where his products are made - a rarity in American manufacturing.